These "O" Clips can be locked. The inset shows the Locking O-Clip open and closed. 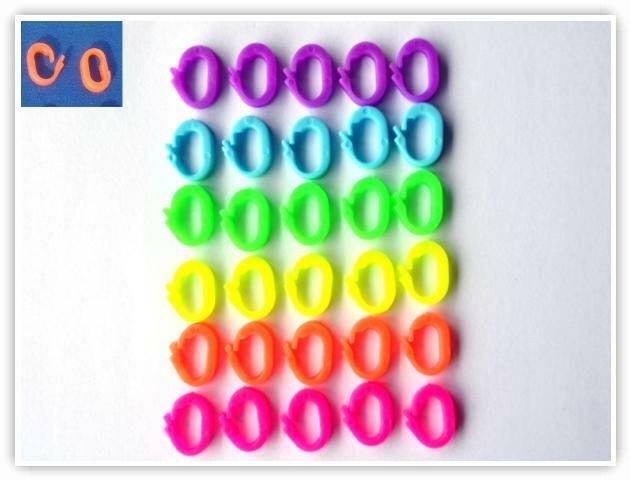 These ones are available in a variety of different colors, and the plastic is somewhat bendable.